Red dot finders have been around for some time now — adopting various guises in their ongoing improvements. 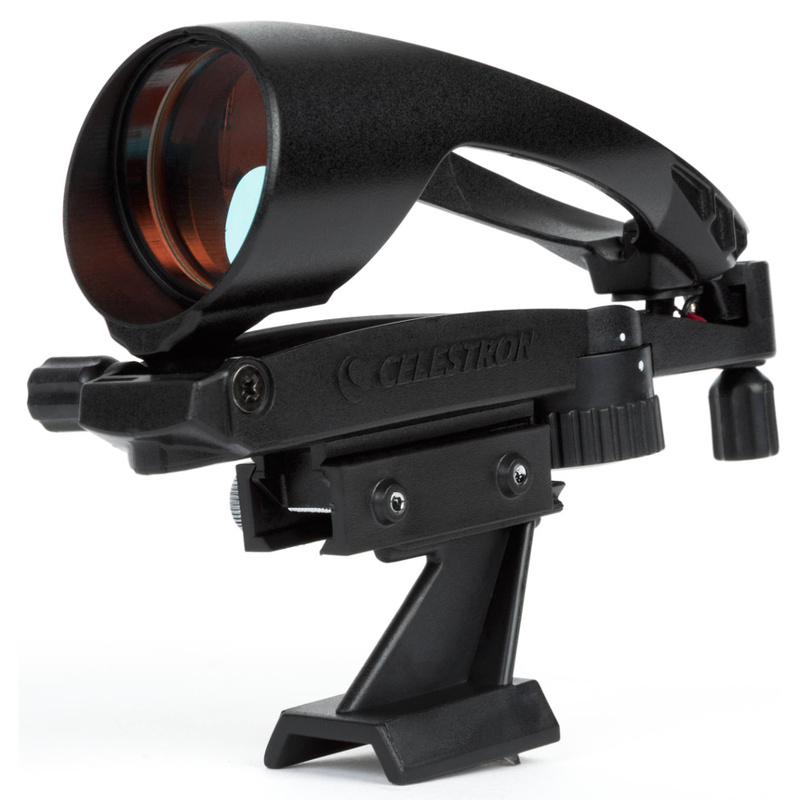 Yet with this new version from Celestron, there is definitely a new slant on their design. Other ‘unitary’ red dot (x1) devices have inherently suffered from the same integral problem as their cross-haired cousins — in that the target becomes obscured just at that moment when accurate alignment is desired. Yet the Star Pointer Pro does not blot out its prey — it surrounds it! Nested binary rings quite literally target an object as its own bullseye, effectively keeping an object in view to enable perfect alignment. That is not all — a huge 40mm optical window means that it is not necessary to keep peeping out from behind the finder to see how you are getting on whilst sweeping the sky. Its wide field of view makes it far easier to star hop in comfort. It ‘leaps’ upon your scope via a dovetail connection and weighs just 5 ounces. An included CR2032 battery supplies an LED sufficiently bright for use in daylight. 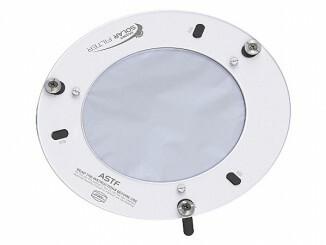 Steve Ringwood investigates a new range of neutral white solar filters employing Baader Planetarium’s renowned Astrosolar safety film in a robust, temperature-compensated frame and easy-fitting mount that comes in a range of apertures from 80mm to 280mm diameter. In developing the beautifully minimalist Dobsonian, the resourceful John Dobson quite rightly earned himself a kind of immortality, telescope-wise. Yet even after the decades of development and tweaking that have occurred since, the concept continues to evolve today. 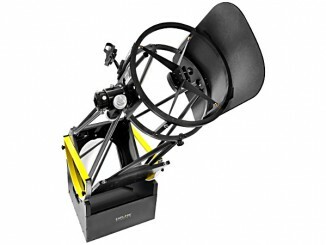 Steve Ringwood casts his expert eye over a new line of Dobsonians from Explore Scientific. ED glasses are fast becoming ubiquitous in astronomical equipment, particularly in banishing the remnants of chromatic aberration of the classic refractor. 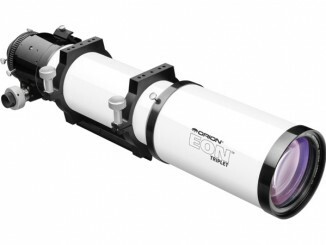 Steve Ringwood takes a look at a 115mm (4.5″) f/7 air-spaced triplet from Orion in the USA. Designed for both visual use and astrophotography, it sports a beefy three-inch dual-speed Crayford focuser and comes supplied its own hard carry case.